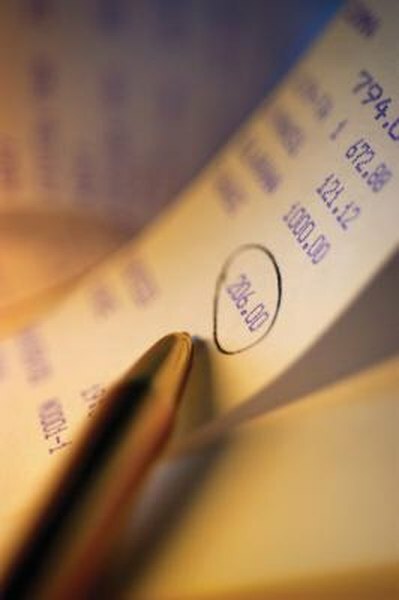 Most individuals should keep receipts for tax purposes for at least three years. 2. Are Expense Deductions Without Receipts Tax Deductible? Because business expenses lower taxable income, the Internal Revenue Service pays special attention to significant expenses and associated documentation. If the IRS decides to audit your records, it will ask you to produce documentation of your expenses. You can maintain tax documentation in the form of physical or digital receipts. For tax audit purposes, not all documentation is equally valid. The IRS accepts receipts, canceled checks and bill copies to verify expenses. To be sufficient, the documentation should detail the amount, place, date and character of the expense. For example, a receipt for a business lunch should detail the name of the restaurant, location, number of people served, date of the expense and total amount. The IRS also values documentation recorded at the time or near the time of the expense over statements prepared at a later date. The IRS has always accepted physical receipts for audit and record-keeping purposes. As of 1997, the IRS accepts scanned and digital receipts as valid records for tax purposes. Revenue Procedure 97-22 details the specific requirements; as long as your digital receipts are accurate and can be readily stored, preserved, retrieved and reproduced, you're in the clear. In other words, digital receipts are acceptable as long as you can deliver a copy of them to the IRS when necessary. For many, physical receipts are the simplest way to keep records. You may already have a physical receipt storage system in place that's familiar and works for you. Storing physical receipts is as simple as dropping them in a file; no extra time is spent scanning and transferring information into an electronic form. However, physical receipts are subject to physical damage. Receipts can be damaged in a flood or fire, or they can fade, rendering the documentation useless. For those who do most of their business and transactions online, electronic receipts might make more sense. If invoices and receipts are already provided to you in an electronic format, it saves time and paper to keep them organized electronically. Digital records means that receipts are relatively safe from the elements. However, they're still subject to loss from hard drive failures or computer damage. To minimize this risk, users can store their receipts in a cloud-based program for maximum access.